It’s not easy getting older. 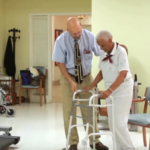 With it can come decreased mobility, less dexterity, and perhaps even pain from doing the things that were so simple just a few years ago. When difficulty with everyday tasks threatens elderly independence, there may just be the perfect solution – in a gadget. 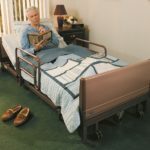 For those of advanced years living alone and loving it, or patients in the process of post-surgery recovery regaining their health and dexterity, these gadgets might be the difference between staying in your own home and having to move to an assisted care facility. When you wake in the morning, getting up and dressed can seem insurmountable if you suffer from back or joint pain that limits your movement. Bending to put on socks and shoes doesn’t have to be impossible. If bending causes pain or shortness of breath, finding an ingenious gadget for dressing will makes life easier and start your day off right. The Jobst Stocking Donner is a handy gadget designed to allow you to pull on socks without having to bend all the way to your feet. Simply slip the sock onto the steel frame, lower the gadget to the floor using the foam-covered handles, and slide your foot into the sock. Viola, one sock on in a flash. If you prefer a plastic device, the Kinsman Enterprises Easy-On/Easy-Off Sock Aid Kit may be the perfect solution for you. Once your socks are on, it’s time for shoes. With the Blue Jay Heavy Duty Shoe Horn, it’s easy to slip on any type of shoe. The steel construction ensures durability and the long handle does not bend or twist when you maneuver it. It also works great for taking off socks. Slide the horn into the top of your sock and push down. It’s just that easy. Use the handy grabber (featured later in this list) to pick up your socks and toss them in the dirty laundry bin. When a stroke or arthritis means less strength and dexterity in the fingers, buttoning or zipping can become a challenge. But you don’t have to start your day frustrated. Now you can maintain your dignity and independence with the help of a few nifty products for delicate dressing tasks. Check out these helpful tools for dressing and self-care. The Sure Grips Button Hook takes the pain-in-the-neck out of trying to force those pesky buttons through the buttonhole. With its slip-resistant rubber handle and tough, heavy-duty wire, you can easily button everything from a delicate blouse button to your jeans. Reach through the buttonhole, slip the wide area of the protruding wire over the button, slide it to the narrow end to secure it, and pull through. Viola! The ingenious design of the Sammon Preston Zipper Pull lets you zip coats and pants using their T-grip gadget. No more fumbling with tiny metal pulls. The hook slips through the hole in the zipper pull, and up it goes. It’s even strong enough for boots and purses. Need to zip a dress behind your back? Try the Ideal Dressing Aid by RMS, Inc. With its 28-inch handle, reaching that dress zipper is a cinch. Women who have the use of only one arm due to surgery or stroke can be stymied when it comes to putting on a bra. No more. The Buckingham Bra Buddy, invented by a British occupational therapist, is an ingenious way to use hooks and straps to get your bra into place. Watch the video below to see just how easy it can be to maintain independence and dignity when it comes to your most intimate dressing tasks. When neck or shoulder pain limits your ability to reach over your head, a long handled brush and comb set can make all the difference. Comb your own hair with ease. Handling a toothbrush is made so much easier with the Ableware Universal Built-up Handle. Grab narrow items much more easily and hold them firmly during use. Keep your autonomy in the little things and you’ll be that much more independent. Use this in the kitchen for silverware too. Going to the bathroom without assistance is one of the vital components of maintaining elderly independence. If back and hip pain prevent twisting, effective hygiene is difficult. The Self Wipe Assist wiping aid may make all the difference. Being independent includes getting out to see friends, go shopping, and take care of important errands like doctor visits. Stay mobile with some of these ingenious gadgets. Easily transport groceries, laundry, personal items and more with a rolling shopping cart by Drive. This 3-wheel design allows you to roll up stairs and over curbs. And when you need to rest, simply unfold the seat and take a load off. Purchase this rolling shopping cart right here at American Discount Home Medical Equipment. We guarantee lowest price and free shipping. Time to lock up? That can be tough if your key is too small and slick to turn efficiently. But it will no longer be a problem with the Enablers Easy Key Turner. This grip-able rubber gadget snaps onto the head of your key to give you a broad, non-slip surface to turn. Great for house and car keys alike. If balance issues, back pain, or decreased leg strength makes getting in and out of the car difficult, try the Stander HandyBar. Rated up to 340 lbs, it slides into the striker located in the door jam of every car. If you need even more support or a second handle, add the Stander CarCaddie. This versatile hold loops around the door jam and provides a second grip to help you stand. It will not pull the door toward you due to the downward force of standing. And the window can be rolled up and the door closed once it is installed, so you can leave it in place for every time you get in and out of the car. Sometimes it’s physically taxing to lift your foot high enough to climb stairs. 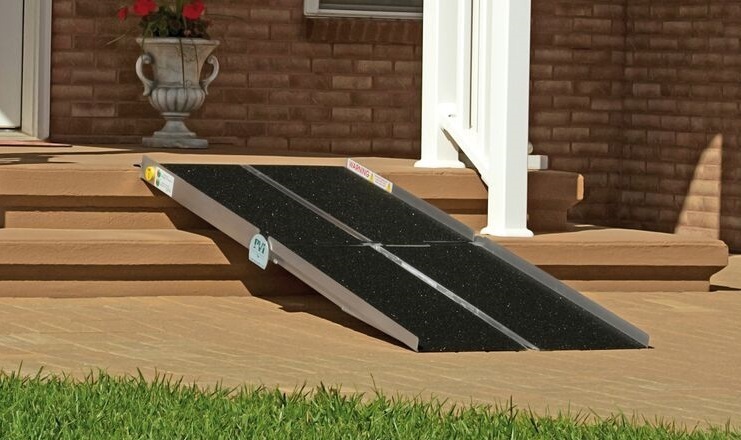 If you are in a wheelchair, then a wheelchair ramp is the perfect solution to get in and out of the house. But what if you just need shallower steps? Then try the Support Plus Riser Step. 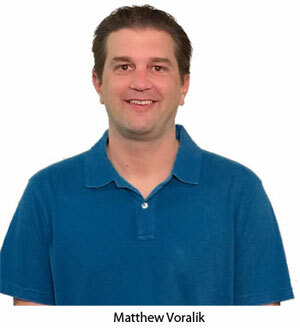 Hip pain, post-surgery weakness, or balance issues no longer means being housebound. 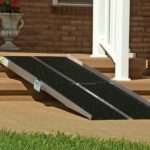 American Discount Home Medical has a complete selection of ramps for wheelchairs and medical scooters. We guarantee LOWEST PRICE and FREE SHIPPING! Buy this riser at Amazon with the link below. When you are on-the-go, you may find you need to rest for a few moments when there is no chair handy. Whether it’s during a walk with family, looking for a book at the library, or shopping for groceries, a quick break will make any outing manageable. 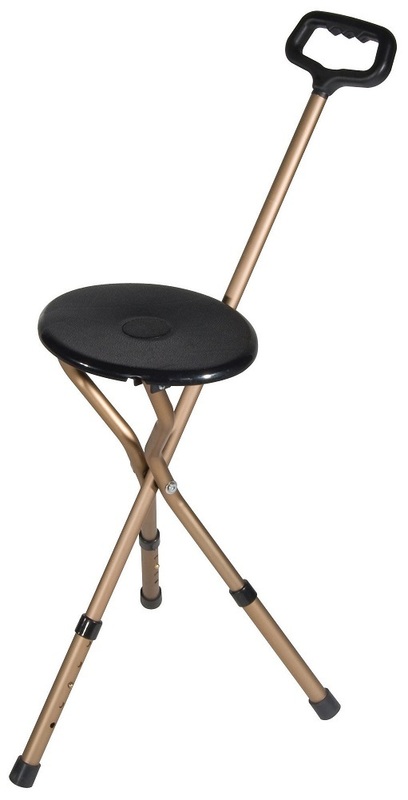 The Adjustable Cane Seat is a perfect solution. Light and easy to use while walking, its three legs fold open with a nine-inch-wide seat that drops down for a stable place to rest. Getting out and about just got a whole lot easier. 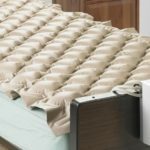 Click the button below to purchase at American Discount Home Medical for the best price and FREE SHIPPING! Getting into and out of the car is not the only place you may need help standing up from a seated position. From the living room to the bathroom, this ingenious device can help you stand. 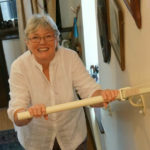 For any room in the house with a ceiling between 7 feet and 10 feet, our own Security Pole Grab Bar gives you a steady handle to grip while standing up. Four hand grips give you leverage at four different heights, and the tension mounted pole has rubber at top and bottom to protect both floor and ceiling. Guaranteed lowest price and free shipping! American Discount Home Medical guarantees lowest price and FREE shipping on all items! When rising from couches and chairs, sometimes a little extra help is necessary. With the UpEasy Seat Assist sold here at American Discount Home Medical the hydro-pneumatic gas spring takes 70% of your weight while you do the rest. And it’s weight-adjustable. 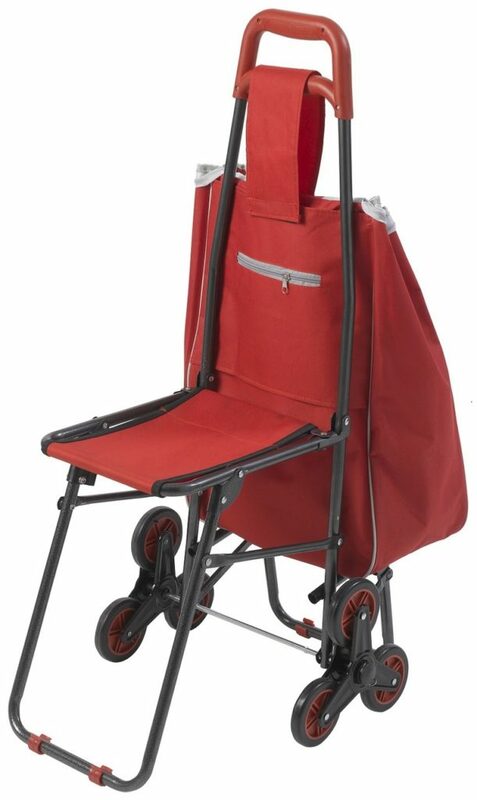 The seat folds even up and has a handle molded into the base for easy carrying if you need to take it on-the-go. The UpEasy Power Seat electric lift makes getting up from your favorite chair easier than you ever thought it could be. Power levers can go on either side of the lift, and the design provides a safe lift without any forward dumping motion. 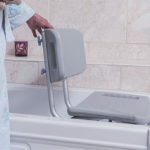 The Assist-a-Tray Safety Handle & Table provides assistance in standing and sitting from your couch, chair or lift chair. Tray swivels and arm pivots 360 degrees to swivel away when not in use. 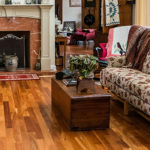 If you have trouble bending to reach items, what’s more convenient than a tool to help you pick up items off the floor. The CQ Wellness Pick Up Grabber Reaching Tool lets you extend your reach 32 inches. With rubber tips and swiveling arms to change pick up position, you can make this tool fit your lifestyle. Easily retrieve keys, phone, papers and more. Twisting the knobs on your lamps can be a challenge for those with arthritis or loss of finger strength. One solution is the replace all your lamps with push button ones. A much less costly – but just as effective – solution is to install the Enablers Lamp Switch Turner onto your lamp knobs. These triangle-shaped plastic gadgets give a wide, non-slip grip to your lamp switches the makes setting mood lighting a breeze. Getting older does not have to mean losing all of your fitness and strength. With the Economy Exercise Peddler or this Deluxe Peddler Exerciser you can keep the fitness of bike riding without having to take the falling risks associated with riding your bike outside. Use it for arms or legs for a safe and gentle low-impact exercise to keep you feeling your best. 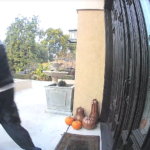 Turning the door knob doesn’t have to be a pain. These EZ Doorknob Grips makes getting into your home a breeze. Tight jars and pop-tops can seem impossible to twist off if your grips isn’t what it was, due to pain or weakness. Now you can still get into the pickle jar or coke can with one of these handy gadgets for the kitchen. This handy multi-function kitchen tool is great for water bottles, pull tabs, or this battery powered Hamilton Beach Open Ease Jar Opener makes opening jars even easier. Getting older isn’t for the faint of heart, but there is no need for frustration as you go about your day to day routine. 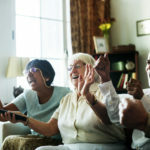 Whether you are helping a loved one find ways to stay independant or looking for way for yourself, we hope this list of things to make elderly life easier will give you some great ideas. Before we go though, here are some other ideas we found on a couple of other sites we love and you may too. And finally, if you have any suggestions for gadgets your seniors love, let us know!